Life Outfitter, LLC is supported by a group of dedicated professionals, programmers and business people located along the Colorado front range. 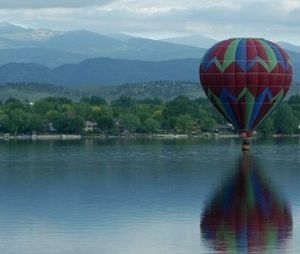 We are headquartered in beautiful Loveland, Colorado. We believe that wisdom found in scripture can be applied to everyday business and life planning. Our clients gain understanding by using our assessment tools and debrief counseling. We equip authorized advisors with the skills and knowledge to share these truths with others. Our products and services focus on the truths found in scripture. We believe that every person has intrinsic motivations within himself or herself. These motivations are deeper and more core than our personality and character. These motivations are God given and defined in Romans 12. They also manifest themselves differently depending on our state of maturity or as the Bible describes our Spiritual state verses our natural state. Our primary audience is the faith-based community. This is our calling. A newscaster on National Public Radio recently said about a political candidate “It is not their resume that is important, it is their motivated abilities.” Measuring and understanding “motivation” is our focus.